My wanderings on this planet have taken me to some wonderful places. One such place was Hawaii. I lived there for 8 years, altogether. In 2007, I attended The Aloha Institute of Massage and Healing Arts. I graduated and immediately began working at Lomilomi Hana Lima, a healing center and spa. I worked there for 2 1/2 years. It was there that I learned Lomilomi Massage from Kumu Brenda Mohalapua Ignacio. Learning Lomilomi, the ancient Hawaiian style of massage was in every way, a dream come true. Eventually, my heart took me home to my family in Oakland, California. When my niece Cidalia was born, I knew I needed to be close. I then began working at San Francisco’s Kabuki Springs & Spa where I worked for 5 years and 4 months. I also worked at Spa Vitale in San Francisco for a year and a half. I was able to share Lomilomi with San Francisco and now, it will be an honor to share Lomilomi Massage with my mountain ohana (which means family in Hawaiian). Lomilomi Massage is an expression of Aloha. Aloha has many meanings but my favorite is, “The Divine Breath that connects us all”. In starting a Lomilomi Massage from the heart space of Aloha, Love can come through. Love is a great healer. Lomilomi Massage seeks to balance the Body, Mind, and Spirit. It relaxes the Body and helps remove tension, it helps the Mind let go, and it nourishes the Spirit. The massage itself has long and flowing strokes like Swedish Massage but also incorporates site specific work. 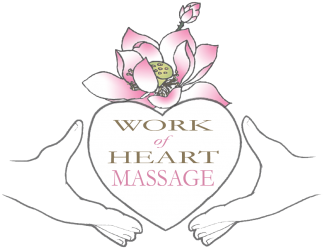 It is a full body massage that can be tailored to a client’s pressure preference: light, medium, or deep. I look forward to sharing this Work of Heart with you!